This is basically “what I’m playing until The Phantom Pain is released”, as having finished most of my games I’ve decided to give Metro 2033 Redux a go. I’m a big fan of shooters, and Metro 2033 Redux is a good one. 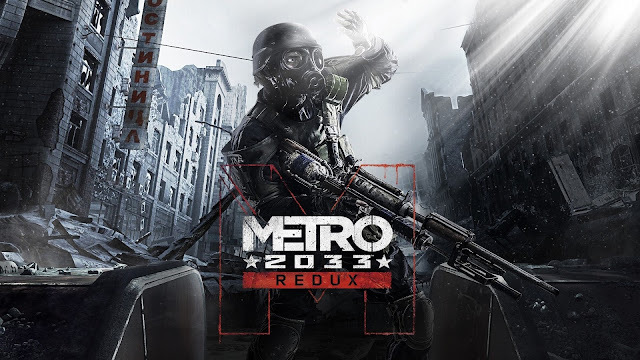 Much like it’s successor it offers stealth and run-and-gun style combat in which you fight mutated creatures such as demons and human enemies like bandits, the ‘Red-Line’ and the ‘Fourth Reich’, all while trying to survive in Moscow’s metro system and above ground. Seeing the game going cheaply on the PlayStation Store swayed me into playing through my second Metro experience having enjoyed the sequel; Last Light. I didn’t have the chance to play Metro 2033 as it never originally released for the PS3, so now that the game has been re-done for the current generation I don’t have an excuse not to.